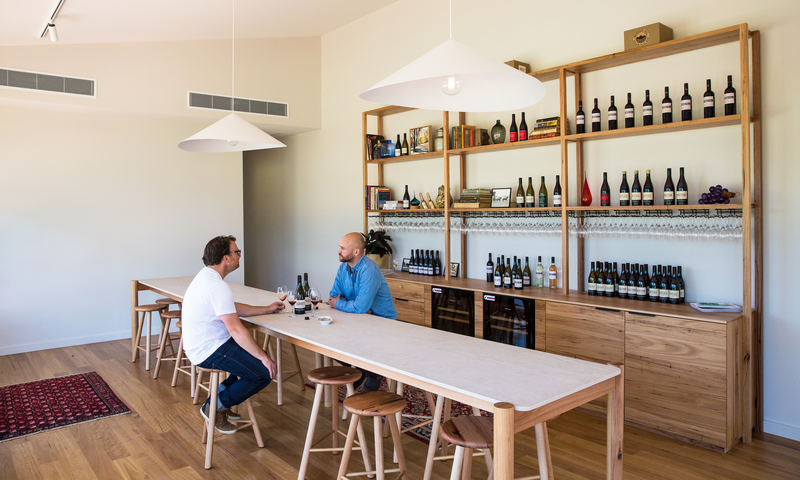 As the Adelaide Hills drinks scene basks in the recent opening of multi-brand cellar door and booze destination Lot 100, winery Murdoch Hill has opened its own tasting room down the road to lure a wider cross-section of visitors to its door. Run by brothers Michael and Andrew Downer, who took over the mid-sized Oakbank vineyard from their father in 2012, Murdoch Hill is now in its 21st vintage, having won several accolades for its Pinot, Chardonnay, Syrah and Cabernet Franc. But until recently, the brothers were without a functioning cellar door, meaning their wines remained largely unnoticed by the growing number of visitors to the Adelaide Hills wine region. “We just used to taste from the winery in the shed and I might have had two people come in once a fortnight or just the real die-hards that know our wine from Sydney or Melbourne,” says Andrew, who runs the cellar door tastings. “Now, all the locals have become interested and we’ve had a good mix of locals, interstate [people] and a few overseas visitors wanting to get to know the brand. The new tasting room, designed by Barossa Valley architect Jamie Gladigau of JBG Architects with interior fit-out by Adelaide company Agostino & Brown, opened in December and will be used to host paid seasonal wine flights featuring Murdoch Hill’s 17 different wines. Swathed by a timber deck overlooking the property’s neighbouring cattle-grazing land, the tasting room features a Scandinavian design and fits up to 50 people. “It’s quite a small space, really, with big tables through the middle, so there’s no tasting bench as such,” Andrew says. While the building does not include a commercial kitchen, Andrew hopes to introduce a “pre-prepared” food menu later this year, most likely in the form of cheese and charcuterie platters. The brothers also hope to attract chefs and food trucks to the property on weekends to increase its catering offering, starting with a Crush Festival event on January 27 featuring Africola chef and owner Duncan Welgemoed. Almost 12 months after whetting the appetites of pizza lovers, Melbourne-based restaurant 400 Gradi is finally opening the doors of its new Adelaide outlet on the site previously occupied by Gusto Ristorante on the Norwood Parade. 400 Gradi founder and chef Johnny Di Francesco – who in 2014 beat 600 other competitors from 35 countries to be named World Pizza Champion at the Campionato Mondiale Della Pizza in Italy – announced in early 2018 that he planned to open a venue in Adelaide as part of a major interstate and international expansion. 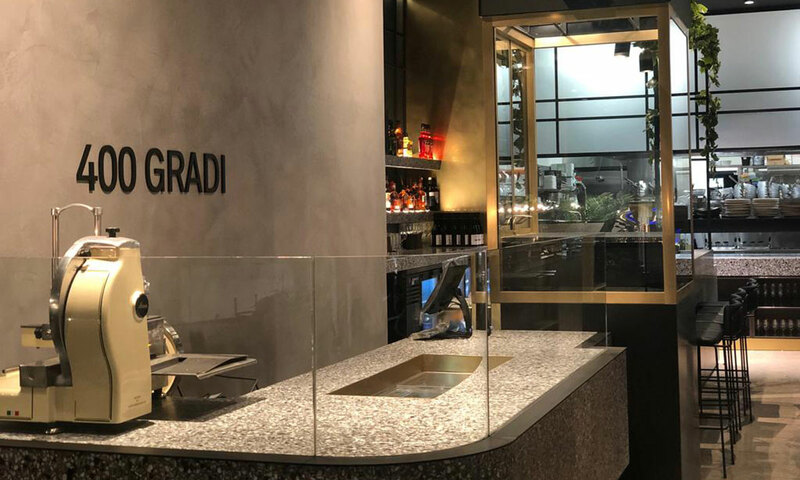 The 400 Gradi Adelaide will finally open to the public next Monday at 121 The Parade, with Di Francesco in town this week for a VIP launch tomorrow. As well as pizza, he says the menu will include “a host of fine Italian fare”, with all the pastas made in-house. “From antipasti and salumi e formaggi to gourmet pasta, risottos and the best cuts of meat, there’s a traditional Neapolitan dish to suit every palette,” Di Francesco says. 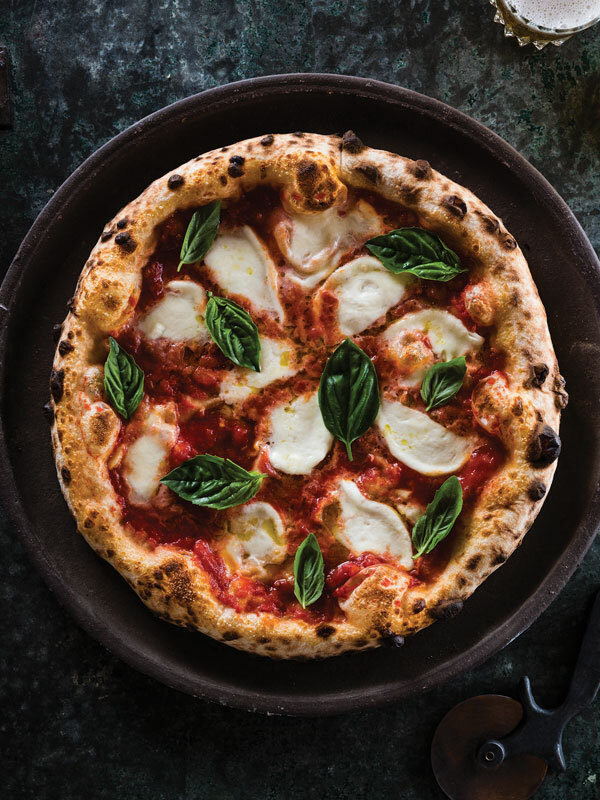 Di Francesco, who started his career working in a pizzeria after school, opened the first 400 Gradi in Melbourne’s Brunswick in 2008, with the name referring to the high temperature at which a thin-based traditional Neapolitan pizza is typically cooked – for 90 seconds – in a wood-fired oven. The 400 Gradi website spruiks the business as the “home of the world’s best pizza”. The rise of plant-based diets has seen a noticeable spike in the number of vegan cafés, restaurants, bakeries and food trucks popping up on Adelaide streets (read more about that here), and now a new study seems to confirm our place as a leading destination for herbivores. The study, conducted by online recipe site Chef’s Pencil, named Adelaide as the twelfth most popular city in the world for veganism. 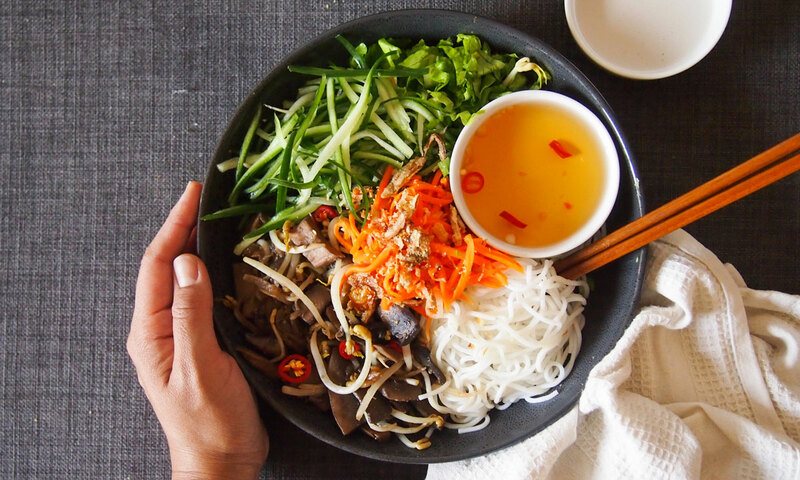 Researchers used Google Analytics to measure the number of vegan-related searches made in any language in different cities and countries across the globe, then used Google Trends data to assign a score to each location to indicate the country’s interest level in veganism. Australia ranked the number-one country for veganism, followed by the United Kingdom and New Zealand. The top city for veganism is Bristol in the UK, with Adelaide falling just behind 11th-placed Melbourne. The study also confirmed a significant rise in the popularity of veganism worldwide, with the number of vegan-related searches 35 per cent higher in 2018 compared to 2016. The Duke of Brunswick Hotel has introduced a completely gluten-free menu. Spurred on by constant customer requests for gluten-free meal options, an Adelaide publican has decided to remove all gluten-containing food from her pub menu. The Duke of Brunswick Hotel on Gilbert Street launched its revamped gluten-free menu on Monday, with owner Simone Douglas saying demand from coeliacs and a desire to reduce chances of cross-contamination prompted her and her kitchen staff to make the bold decision. The Duke of Brunswick still serves pub classics – just without the gluten. Gluten-free food, once considered a bland substitute for “fussy people”, has grown in popularity, with a spike in the number of people diagnosed with coeliac disease in recent years. Douglas says her chefs have worked for more than two months on the menu, which features pub classics such as chicken parmigiana, cheeseburgers, and fish and chips, as well as less traditional options including fettuccini calabrese and quinoa salad. “Quite often people who are diagnosed with coeliac disease and need to eat gluten-free food might be exposed to cross-contamination because their chips, for example, might be cooked in the same fryer that has been used to cook food with gluten,” Douglas says. Douglas, who is not a coeliac but does not eat food containing gluten, says it is likely diners “won’t even know the difference” when eating from the revamped menu. “Gluten-free products have reached a point where you can still cater to mainstream tastes without sacrificing quality and flavour,” she says. “We have managed to secure some good suppliers – Riviera Bakery, for instance, that provides our gluten-free bread, which is one of the bakeries that actually makes really decent bread and buns.